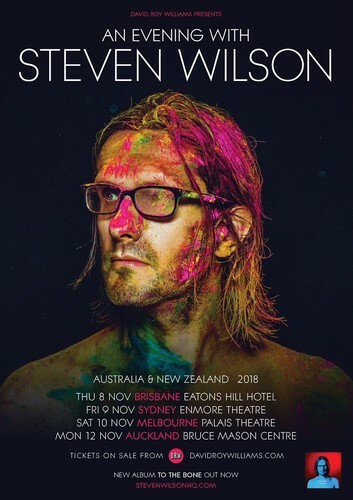 Following the release of to the bone, his most successful album to date, Steven will perform three hours of mesmerising music drawn from both his recent catalogue, as well as classic Porcupine Tree songs, some of which have never previously been performed by his solo band. As well as cinematic visuals and driving futurist rock, aficionados will be treated to the astounding musicianship of Steven’s band. Spectral electronics, gut-wrenching sub-harmonics, pounding drums, elegiac hyper-space ambience and dizzying, squalling guitars are a staple of Steven’s concerts. Steven’s band for these dates consists of: Nick Beggs (Bass), Craig Blundell (Drums), Adam Holzman (Keyboards) and Alex Hutchings (Guitar).